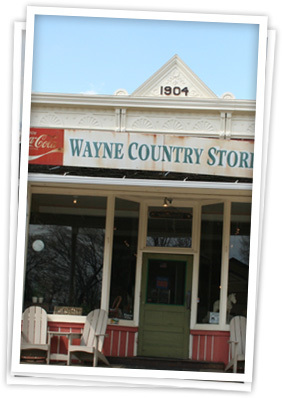 The Village of Wayne is committed to preserving its equestrian heritage. The village has miles of equestrian trails, as well as dozens of horse farms, riding centers, and boarding stables. The Wayne-DuPage Hunt is one of only two active fox hunt groups left in metro Chicago, the other being the Mill Creek Hunt in far north Wadsworth. Every year, the Wayne-DuPage Hunt holds a reenactment of a traditional English fox hunt using "drag bags" containing fox scents. No real foxes are harmed during these hunts. The hunt involves kennels for some 60 fox hounds and a membership list of 150, though 80 riders represent a good turnout on a crisp fall weekend. Traditions such as the stirrup cup, a sherry or brandy libation served at the festive end of a long ride, have been carefully preserved. Residents and guests celebrate Flag Day in June each year with a parade and picnic on the Sunday nearest June 14. This parade often features more participants than spectators. The parade begins at the General Store near Railroad Street at Army Trail Road and is open to all. The parade ends at the Little Home Church approximately 1/4 mile east. Donated cakes are sliced and served, picnics are eaten, and Jazz music is played. A Wayne Citizen of the Year, honored for contributions to the Village, is traditionally chosen at this event.